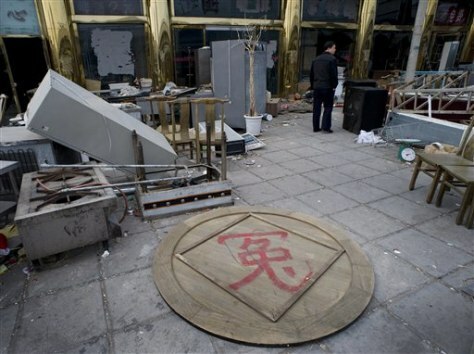 A table bearing the word "injustice" lies outside a damaged restaurant, owned by Jiang Yingjie in Beijing. Jiang claimed to have been attacked by police trying to evict him from his restaurant. Dissidents and petitioners complain that police are overly harsh and sometimes violent.